It's been one week since the Women's March on Washington (WMW). I was curious to see what would still grip me most strongly now after one week. Filtering through so many topics, so many impressions, so much emotion, what remains with me most clearly is: people's voices. People are speaking up, speaking out, and, for the first time that I can remember, speaking with unanimous confidence that speaking can and does indeed bring about change. The most obvious case is the power of every citizen to call their government representatives in order to communicate their opinion. But speaking also has the power to open people's minds to fundamentally different perspectives: speaking with each other can lead to the understanding that the world is a single, immense interconnected system. There is and can be no difference between standing up for ourselves and standing up for other people. This understanding builds confidence, lends authority to our individual voices, and allows us to comprehend our own potential at our cores: what we can make happen by all pulling in a common direction is more that we have previously dared to hope or imagine. This blog post contains observations about the WMW seen through the lens of information, which is my field of research. 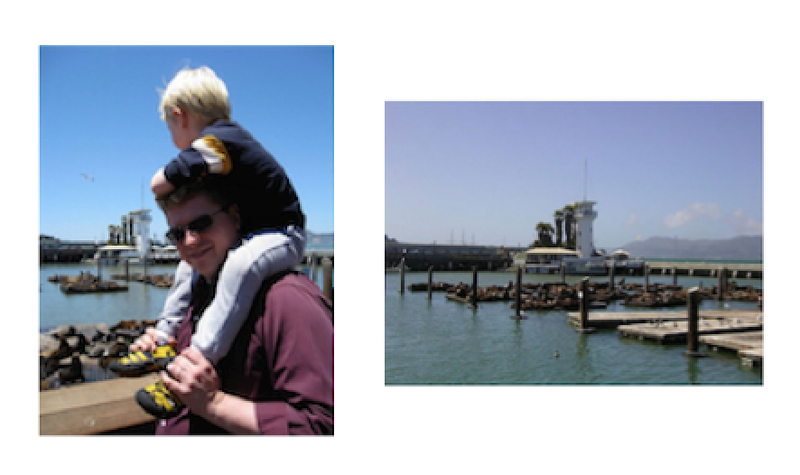 Specifically, I focus on information as it is captured and shared in multimedia: audio, video, and images. In Ch. 2 of their Multimedia Computing book, Friedland and Jain discuss communication-related inventions over the course of civilization. Their discussion makes the point is that the era we live in is an era of media recordings, digital media, and the Internet. These inventions provide us with three invariances, which offer historically unique opportunities for communication: invariance of time, invariance of space, and invariance of addressee. "Invariance" in this case refers to the stability of communication—if a message is invariant, it is not subject to loss or decay. Specifically, these three invariances mean that a message communicated in the past is also available in the future, that a message presented at one place, can be also presented at another, and that a message communicated to one person can be communicated to anyone. How do these invariances make marching in today's times different than ever before? When our grandparents' generation made signs and took to the street, their message would only reach the people who were present on that street and in that moment. Anything beyond that was dependent on newspaper and radio coverage. In 2017, the WMW took place in full realization that the march was not limited to that moment, to that space, or to the specific people who were physically in Washington DC. Most of the intended addressees of the march were somewhere completely different. In the case of all three invariances, I observed behavior that reflected the consciousness of people of these information invariances and the need to use them. Cameras, both conventional and on mobile phones, were everywhere at the WMW. I watched amazed as people took pictures of each holding their signs. Slowly, at the march, it dawned on me that my idea of not bringing a camera to a demonstration outdated. It became apparent to me that people made their signs with the intention of having other people take pictures of them. Some people who had particularly interesting or novel signs were standing at the side of the street. Apparently their purpose standing there was so that people would come up and chat and then pose with the sign for pictures. 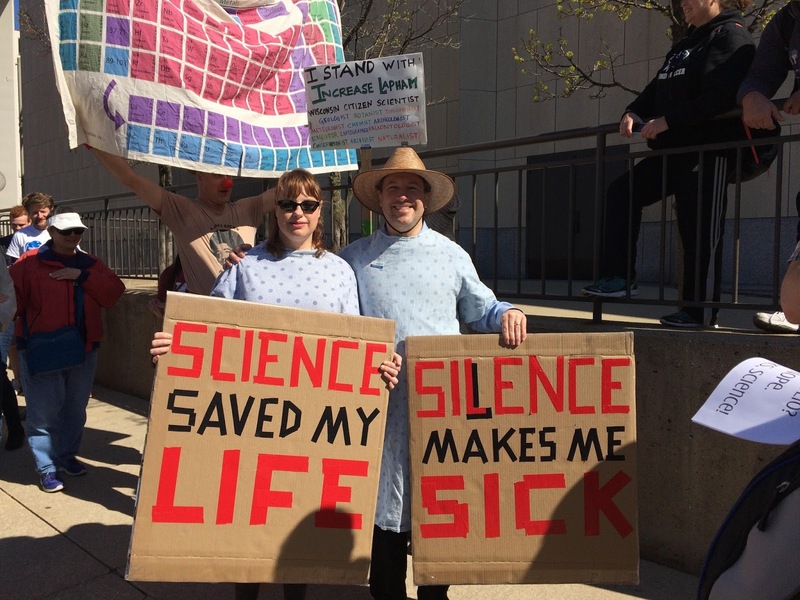 A consciousness pervaded the march: a sign is not merely a physical object, but rather a message broadcasted outward without a predetermined limit. Your face on a picture next to a sign anchors it to you as a person in a way that comments on the Web fail to be anchored. The march came together around unity principles. Motivated by these principles, a "selfie" taken with a march sign becomes an "unselfie": an act of selflessness in support of rights and of people without the opportunity to stand up for their own rights. There was a feeling of connection at the WMW to people who would have liked to have been there, but who weren't able to make the trip to Washington DC. I saw at least one marcher who had listed the names of the people who supported her on her sign. While marching, I felt strongly connected to the people in our circle of family and friends who had stayed at home and watched the media coverage and/or attended other marches. During the WMW, the mobile phone network clearly suffered overload. Through much of the duration of the march, it was not possible to access the Web via the mobile phone network, to call, or even to send or receive a text. For this reason, we realized that it was that the people who were not at the march were actually understanding what was going on more than the marchers could, although we were actually at the march. The feeling that being the the middle of the march was not necessarily the best way of getting an overall understanding of what was going on enhanced the impression that the march was not happening in a particular physical space, but in fact everywhere at once. It was only later that evening that I came to fully understand that there had been marches of magnitude in so many places around the the US and the world. 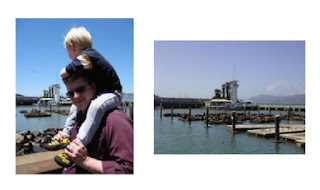 Today, it's a week later and I spent some time browsing march pictures on Flickr. March pictures are all simply march pictures, and whether they were taken at the WMW or at a sister march has since faded into the background. My experience of the march was people, people, and more people. I know Washington DC well, but at times, I felt completely out of sight of anything familiar. During the time that the speakers were speaking we saw no stage: we just had faith that some where in the core of the masses the speakers were speaking on schedule. At one point, someone close to me in crowd said, "Madonna's here!" People seemed excited to hear that, but everyone had realized by then, that it was counterproductive to try to get to the stage. There was a consciousness that no one was missing out on anything. Not being able to see any of the speakers was not a disappointment, we could all just shrug "Oh, well, I'll catch the speeches on YouTube later". (I spend some time doing that today.) Thinking about what it was like in the middle of the march: I've never experienced a moment, with such a clear sense of shared awareness that that moment would be lived and relived afterwards. For those with similar scifi habits, I'll say, it's the closest I've ever come to experience the feeling of travel across time and relative dimensions in space TARDIS. The weeks leading down to the WMW were already filled with an appreciation of what past marchers had to teach us, and my thoughts frequently turned to the 1963 March on Washington for Jobs and Freedom. Awareness of the contributions of those in whose footsteps we follow is perhaps the most dramatic impact of information communicated across time (54 years ago), space (around the world), and audience (I was not even born then). I never thought too much about 1963 as a child, but I also never thought too much about fire drills. When the alarm goes off, you calmly and peacefully leave the school. When things become unbearable, you calmly and peacefully go to march in Washington. These are the procedures and the practices that keep us—all of us—safe and keep our efforts to build a just society moving forward. Images, audio recordings, and videos hold the practice before our mind's eye: yes, it does happen, it has happened, and since it needs to happen, it will happen again. Recommender system failure as a business model: Repellent ad? Pay for premium! While writing my last post, I spent a lot of time worrying about whether we really understand the forces at play with so much of our information world driven by business models based on clicks. My underlying assumption was that these forces all perpetuate the dependence of the production and flow of information in today's world on advertising. Today, I was reminded of the importance of thinking out of the box, and never assuming anything: there might be exceptions. 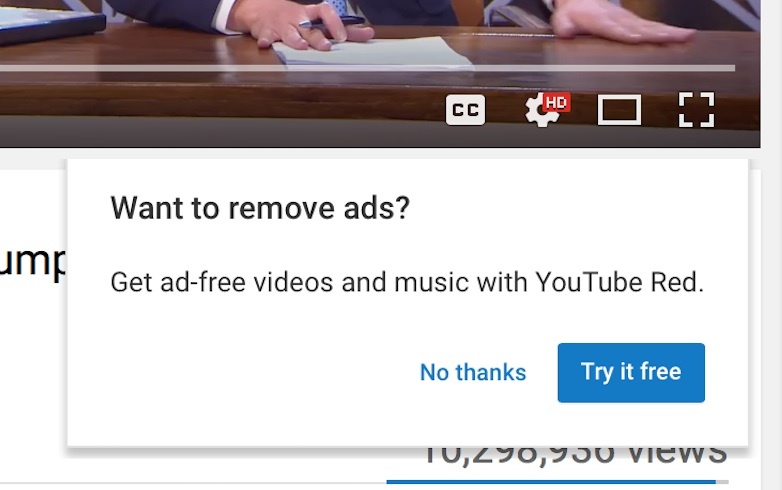 Here's what's happening: YouTube incentivized me to subscribe to YouTube Red by showing me an ad that raised the hair on the back of my neck, and then giving me a pop up window asking "Want to remove ads?" (screenshot above). G2 Overview from David Foster on Vimeo. The "try it" button might as well have been labeled: "Get me out of here!" Pretty brilliant, really. What I am assuming is happening (i.e., "may be could be happening") is that the recommender system algorithm is optimized to increase not only the number of ad clicks, but also the number of YouTube Red subscriptions. Of course, I am a proponent of recommender systems that are not designed to fulfill a single target . The target could be ill-designed, and the world is also just not that simple. However, I am of two minds about what YouTube just did to me as a user. First, when we talk about gun violence in the US, we talk about deaths and causalities. The discussion of the psychological wear and tear is often in the shadows. If my heartbeat rises with an ad like this one, then I can't even imagine what parents must go through, who send their kids out the door in the morning to school with the constant worry of stray bullets and guns in irresponsible hands. Ads like these just contribute to the second-order harm that the fact that we have no real gun solution inflicts on society. 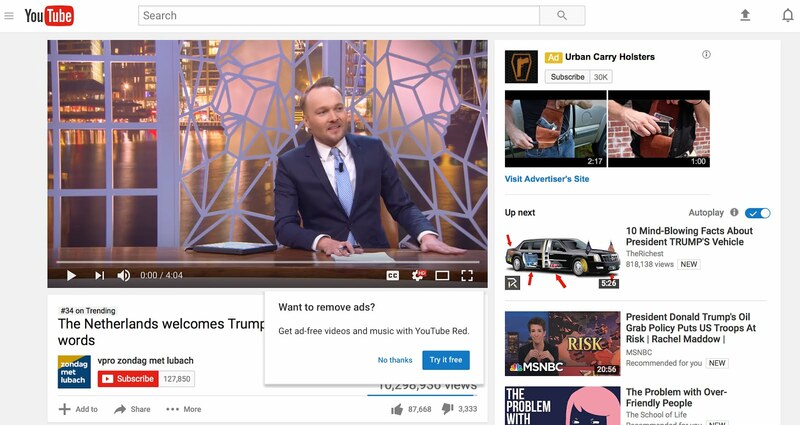 YouTube's recommender should know enough about me to protect me from the psychological wear and tear (which results in wasted time). Second, maybe YouTube should not be protecting me, but exposing me to more. (Yes, I am of two minds, and the second is completely opposite.) If recommender systems recommend advertisements that are personalized to be repellent for users, it could be a force that drives subscriptions at a large scale. If enough other people react like me, we will soon be on the road to being able to fund the production and distribution of information based on quality and trust, funded by subscriptions, rather than on clicks. There is a chance that this ad is not a complete recommender system misfire. 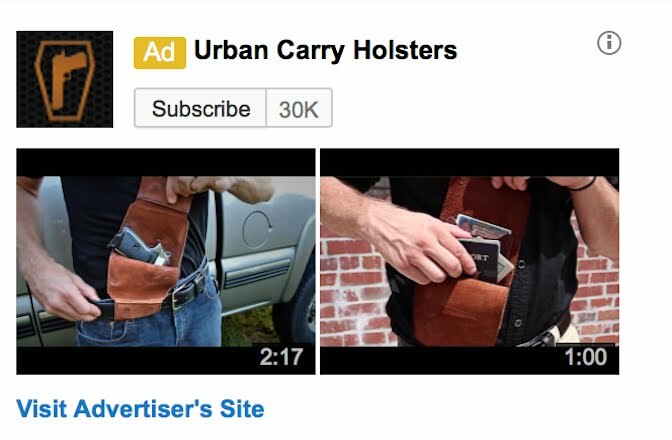 The Urban Carry Holster ad was not actually an utter mismatch for my tastes. 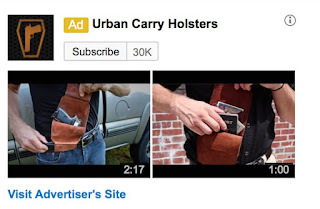 They show that the holster was designed on the basis of a "user study", and I have certainly purchased a number of high quality real leather handbags in my day. It's the "detail" of putting the gun inside of it that freaked me out. So maybe it is a recommender system failure, or maybe it is the most important thing that recommenders have done for our online information ecosystem in years. Whichever of these points of view ends of winning, it is something worthwhile thinking about. 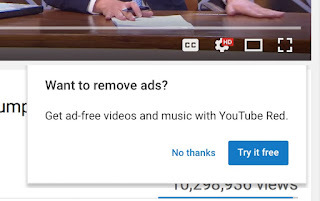 My only concern is the manipulation aspect: in order not to destroy trust with YouTube, I would appreciate knowing that the ads are optimized to increase YouTube Red subscriptions, and I am indeed being nudged. This morning, I innocently checked the news. Then I disappeared down the rabbit hole. One click following another, driven by the idea that around the next bend I would arrive at some kind of a lasting understanding that would outlive today. When I realized I was in full information reading free fall, I started writing this blog post, just to record what was happening. To reconstruct the beginning of the experience, I asked myself what was the lead story on The Guardian when I opened it this morning. Do I really remember what happened two hours ago? First, I thought no. Then, I remembered it was something about the shooting in Fort Lauderdale. But what? The shooter was unhappy in some way. Let me go back to check, but whoops in the meantime, there is a fully different lead story...I can't go back to where I was...maybe Fort Lauderdale was not so important after all. Actually, no don't want to be reading about Fort Lauderdale. I land in Florida airports rather frequently and I don't need to be creating anxiety. Shouldn't be reading that one. Spent some time trying to get back to see the same "first page" that I saw this morning...clock ticking. It appeared not to be possible. What kind of insight will I arrive at that will outlive today? This morning became this afternoon as I dove into certain column with the headline: "Moral panic over fake news hides the real enemy – the digital giants"
Hmmm. What exactly is "moral panic"? "Moral panic has been defined as a situation in which public fears and state interventions greatly exceed the objective threat posed to society by a particular individual or group who is/are claimed to be responsible for creating the threat in the first place." However, that gets us nowhere on what "Moral panic over fake news hides the real enemy – the digital giants" is going to actually tell us. If there is a fear, it is related to the fact that we have no way of estimating an objective threat, and by this definition can't be moral panic. OK. Title doesn't make sense. Let's click anyway. Maybe this article will allow me to move forward on one of my more dominant streams of thoughts these days: The discourse on news and news reading behavior seems to assume that people have an unlimited amount of time and attention resources to consume news in a given day. How do we achieve a healthy and balanced news diet, if we don't have countless hours to spend? This stream of thought has led me to ask the question if the time that we are spent worrying about "fake news" should be spent thinking about something else. And the related question: "What is that something?" and "Is the problem with fake news actually not that it is fake but that it is simply consuming time that we should be spending doing other things?" So I click. Falling, falling. The piece is interesting, but not what I expected. "The only solution to the problem of fake news that neither misdiagnoses the problem nor overpowers the elites is to completely rethink the fundamentals of digital capitalism. We need to make online advertising – and its destructive click-and-share drive – less central to how we live, work and communicate. At the same time, we need to delegate more decision-making power to citizens – rather than the easily corruptible experts and venal corporations." But how much does the author really know about the forces at play within the larger context that gives rise to online advertising? 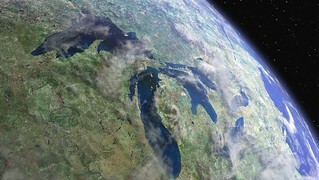 If there is going to be a "rethinking" there need to be "rethinkers" who are positioned to make changes. This piece seems to be implying that those "rethinkers" exist: but can they exert the required influence? OK. I could fall forever. I am just going to dig a bit more deeply into this one article, and then I am going to stop and do something else. Let's start with remembering exactly does "venal" mean again? Looked that up. "Open to bribery". Right. OK. I decide to read all of the comments to see if anyone else had this problem. Whew. Lot's of opinions there. Pretty interesting discussion. One comment states "We have norm of unexamined adoption". That's an interesting observation: How did those norms get formed in the first place? If we can figure that out, then we can maybe take some action there. At least two people commenting are pointing to the need for helping people develop critical thinking thinking skills and the ability to verify information. That's another of my streams of thought lately: how to promote the practice of evaluating information sources, for example, with the CAARP test. No one seems to be bothered by the broken link in the author profile of the author of the piece. Usually a broken link would point to a poorly maintained, and potentially less authoritative source. But this is The Guardian! Maybe I am seeing things? Then I spend some time on The Guardian website trying to figure out where to report a broken link. Lots of opportunities for suggesting corrections to content, and for securely passing The Guardian information. Good to see. However, none for just saying, "Hey, the link is bad". "Does anyone else find that the link to Morozov's Net Effect blog at the top of his Guardian profile page (https://www.theguardian.com/profile/evgeny-morozov) doesn't seem to really lead to the blog? It seems like the The Guardian made a mistake, and that the link should be directing us here: https://foreignpolicy.com/category/net-effect Uncertainty about this link is hindering me in digging into the wider context of this piece." Worrying that that comment will be interpreted as being negative about the piece. I'm not negative, just trying to get to the bottom of what the lasting message is for me. I'm spending time on trying to understand why research on dopamine and information seeking seems to have fallen silent in the mainstream press after 2012, and on wondering why there is not a good website to explain complex systems. We need to rely on Wikipedia for so many of the related concepts like "preferential attachment" and "emergence". Why in the world does my Morozov piece feature one picture of Putin and the top and one picture of Trump in the middle? It is not about either of them. I don't think Morozov chose those. I am still falling...with also a feeling of having been sucked in. This is about one piece that I read in the newspaper! I'm trying to form an opinion about one single opinion piece. What if I had tried to read the other ones as well? What if I were doing any serious fact checking? Greetings from a state of extreme information overload. Is the conclusion that the limits our time will ultimately always win? That we will drown in a state of information overload because it requires an afternoon to evaluate a single opinion piece? I am not so sure. In this case, I am planning to take action on my conclusions regarding the article and the things that the people are saying in the comments. As an information retrieval researcher, a crisis in information quality is a crisis at the core of our research field. As an instructor of a freshman information science course I need to be able to describe best practices in information and consumption behavior. There is a lot riding on this one article for me. In that respect, it is not wasted time. A arrive at the bottom of with a loud bump. So the conclusion is, yes, our time is limited. We can't spend an entire afternoon examining everything that we read. The most important information is the information that we take action on. We need to seek out that information, and evaluate the heck out of it. If we are not planning to take action, read, but leave the information in suspended animation. For example, the article on Fort Lauderdale. Or: there is now an article about the Mob on the front page of the New York Times. I choose not to subject these to scrutiny, but neither will I take any action (including sharing those articles) on the basis of what I read. Looking at the length of this post, another obvious conclusion is that people should set aside more time for finding and consuming information. 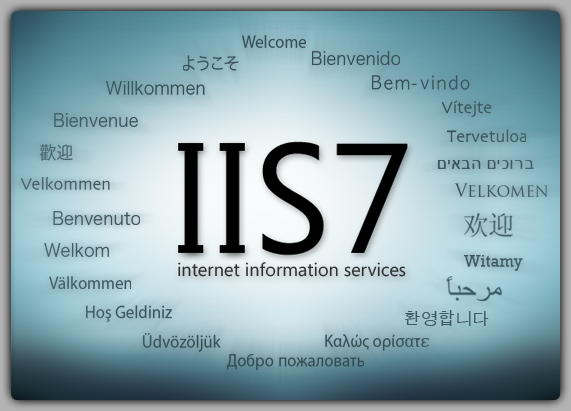 The information available online initially looks "free", but really we need to also count the price of our time. Information without verification is useless. Setting aside time requires asking the question, "What did we lose because we didn't choose to do something else instead? "In short, how can we more tightly link reading the news to tradeoffs and to tangible value? Now what about this little bottle?